Dubbed the “first lady of fighting” in recent years. 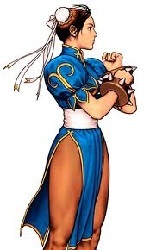 Chun Li as a character has seen an evolution not only in move set, but also in costume design. 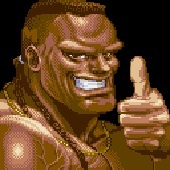 Being the only female in the original SFII made her the only choice for fans of female characters and her return to all of the following SFs made her into a iconic piece of the street fighter identity. I personally never really took a shine to her until she appeared in SSF4 and the new MVC3. Might have something to do with the new alternate costume 4 or refinement of move set. Given the “big” role that Chun Li has played in the franchise, I feel that I didn’t do her justice. Partially because of my skill as an artist and partially because of the constraint of time I had to commit to the project. But I should let you the fans be the judge. Getting something on paper was so difficult for me. I started by creating tons of roughs of different poses. Some even based on real Wu Shu stances that I researched. None really spoke to me. 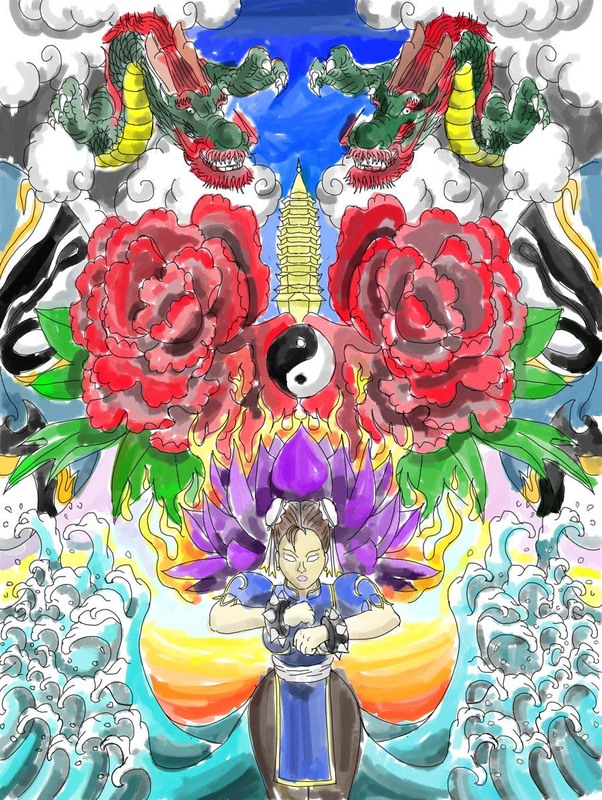 Originally, my plan was to focus on Chun Li more, but I ended up using iconic items from Chinese culture. Dragon for the year of the dragon, peony is China’s national flower, beijing opera masks, yin-yang and pagoda. I am a tattoo artist, which explains the style and use of symmetry in my entry. After finishing the line work I didn’t have enough time to color it like all my other Corel projects, so I experimented with digital water color, which came out looking like marker. In the end, the piece wasn’t what I was hoping for, but I hope that you the fans can enjoy it. What can I say, Chun li has always been my most favorite of the Street fighter characters. I always find her very appealing to me to me since I played Street Fighter 2 back in the early 1990s. 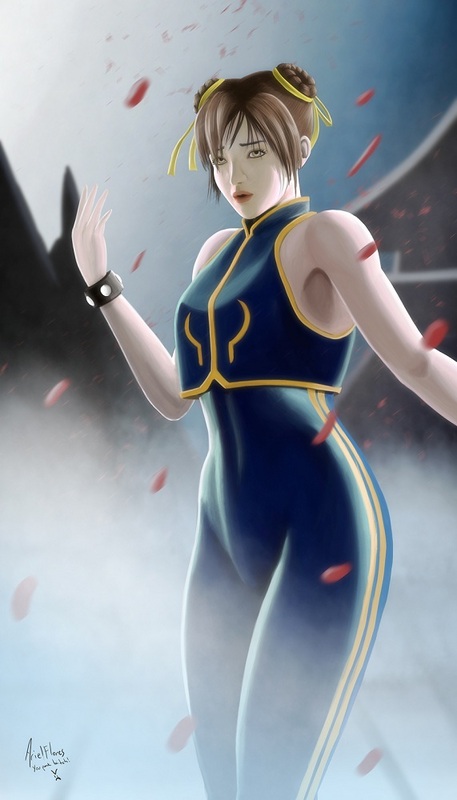 To me Chun Li is a perfect combination of beauty and strength and I think most of you veteran gamers (who played SF2 back in the day), should agree with me on this. 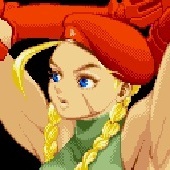 Sure there are other attractive game characters such as Cammy and all, but in my opinion, she has a wider appeal than all of them. I hope you guys like my tribute pic. It’s the best I can do to appreciate the female gaming icon. I wanted to do something a little different with Chun li this time while still retaining her attributes of beauty and strength. I gave her face a more ethnic Asian appearance by drawing her eyes with distinctive elliptical folds. This feature are commonly found on people living in China, Japan, and a few other countries in South east Asia. 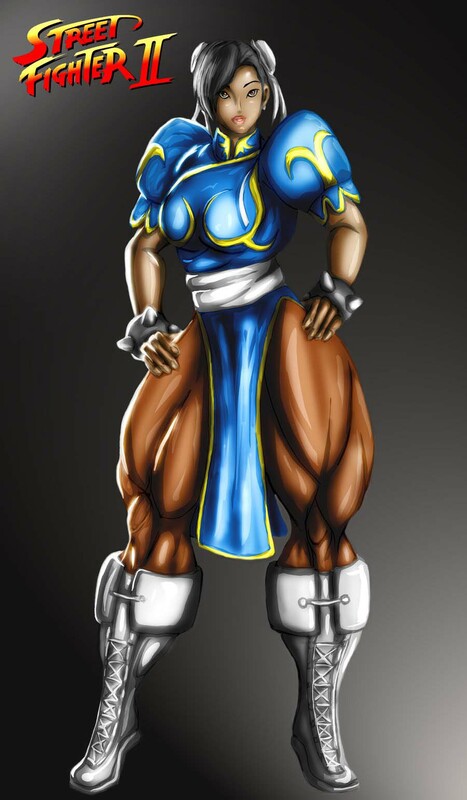 The outstanding physical features of Chun li has always been her muscular thighs and wide hips due to the fact that she uses them for a series of powerful kicks in the game. I made her legs just a more muscular to put emphasis on her feature but without compromising her overall physical profile. This was drawn in completely Adobe Photoshop CS with a graphics tablet, using only 3 layers. It was first created as a flat color (2D) painting and then finally I use the burn/dodge tools to bring out a 3 dimensional appearance.